From 18 to 21 August 2016, during the Monterey Car Week and the Concours d’Elegance in Pebble Beach, BMW Group Classic will be celebrating under the Californian sun the company’s 100th anniversary and the most significant successes in the racing history of the BMW brand. The event held on the US west coast is popular with classic car enthusiasts all over the world and provides a perfect stage for numerous milestones in BMW’s history – including the brand’s first motorcycle and the legendary BMW 328 sports car, the BMW 2002 – an ambassador of driving pleasure in the USA too, the racetrack-proven works of art from the BMW Art Cars Collection and several models currently used in touring car racing. The presentation of classic competition vehicles at the “BMW Living Legends Garage” is in the focus of the show on the premises of the Laguna Seca racetrack, which is serving as the location for the Rolex Monterey Motorsports Reunion. One of the highlights of the Concours d’Elegance in Pebble Beach is the presentation of the BMW 507 that was once driven by Elvis Presley during his term of military service in Germany and can now be seen for the first time by the general public following its complete restoration. For many decades, the roadster of the “King of Rock’n’Roll” was regarded as a mystery on wheels. Not until after painstaking investigation by the US journalist Jackie Jouret and enquiries made by experts from the archives of BMW Group Classic was it possible to solve the mystery of the identity and whereabouts of the car. 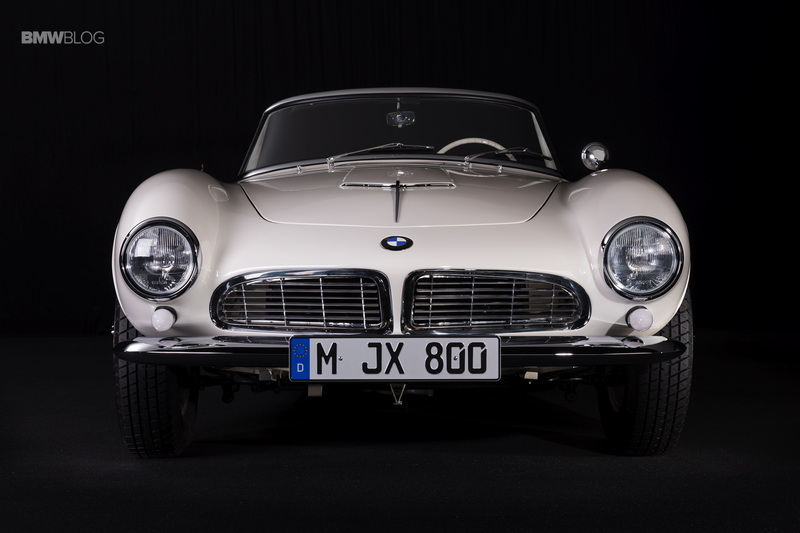 For many years, Elvis’s BMW 507 had been “dormant” at a warehouse in Half Moon Bay, south of San Francisco, and thus not far from the location at which its rebirth is now being celebrated. And it has an eventful history in which the “King” played the most crucial role, but not the only major one. It begins at the Frankfurt International Motor Show, where the BMW 507 was exhibited in September 1957, having being produced shortly beforehand. The works driver Hans Stuck, also known as the “Bergmeister”, then completed several races in the white two-seater car, which was also used for press test drives and film shots. In December 1958, a BMW dealer in Frankfurt mediated the sale of the roadster to probably the most prominent US soldier ever stationed in Germany. 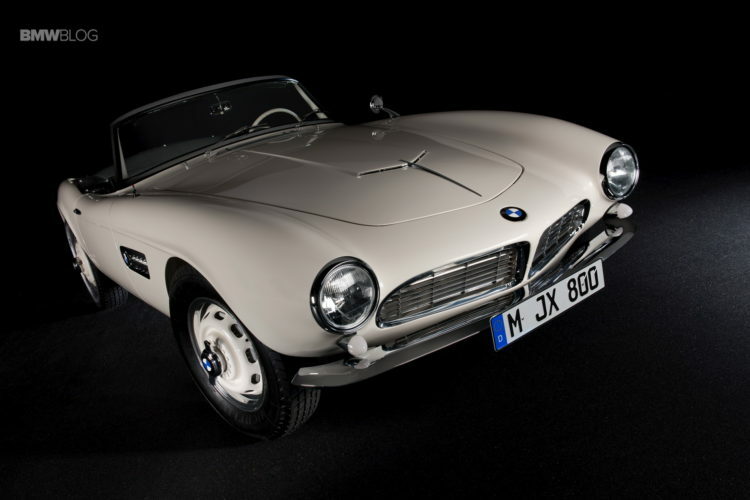 Elvis Presley drove the BMW 507 until he finished his term of service in March 1960. 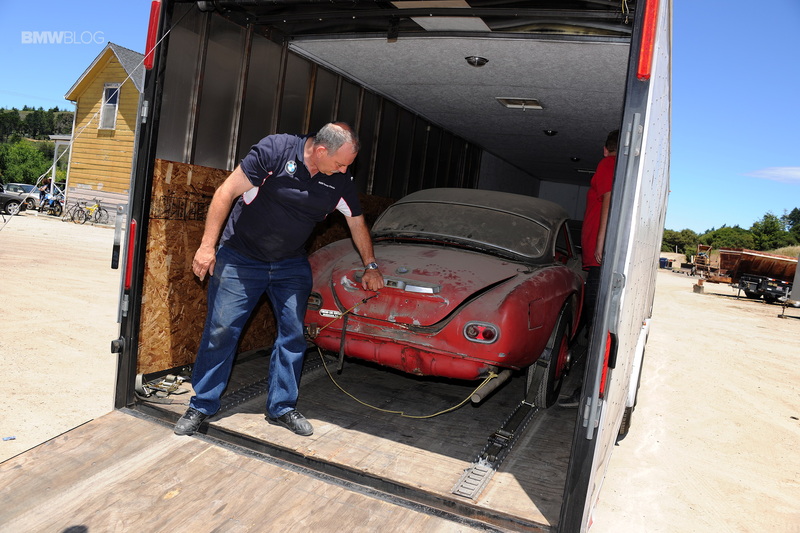 After that, the car, which by then had been painted red, was transferred to the USA, where it changed owners several times and was converted for further racing use, only to soon be forgotten. In 1968, engineer Jack Castor bought the car and decided to put it into storage for restoration at a later time. By means of the chassis number 70079, the avid classic car enthusiast was able to see the connection to Hans Stuck. However, it wasn’t until many years later that this connection introduced him to BMW Group Classic, and a comparison with historic documents then gave him the certainty that not only the “Bergmeister”, but also the “King” had once sat behind the wheel of his BMW 507. 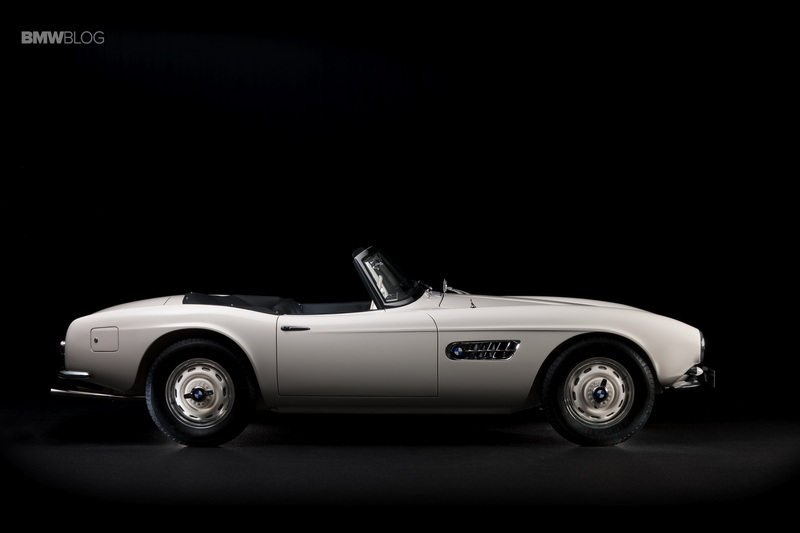 Castor and BMW Group Classic concluded an agreement that regulated not only the purchase, but also restoration of the roadster in Munich. Thus, around two years of restoration work produced a reconstruction that has preserved as much of the original substance as possible and restored the overall vehicle to its former condition in the year 1958. In Pebble Beach, the BMW 507 will shine in Feather White, with a black and white interior, just like when it was sold to Elvis Presley. This was Jack Castor’s wish and is now his legacy, as the keeper of Elvis’s BMW 507 died in November 2014 shortly before restoration work commenced, which in addition to the “King’s” roadster also comprises a further project – Castor owned a second BMW 507. The blue car bearing the chassis number 70089 had also waited for many years alongside Elvis Presley’s car to be rediscovered. Likewise, this car was completely restored under the direction of BMW Group Classic and will now be handed over at the start of the Concours d’Elegance to Ron Gilmartin, a long-time friend and companion of Jack Castor. Many other vehicles being displayed in Pebble Beach take an important place in the 100-year history of BMW. 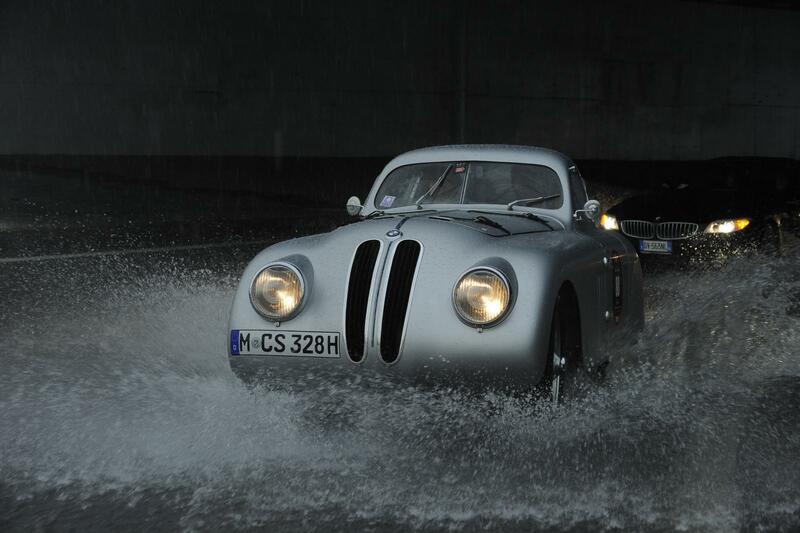 These include the BMW 328 Touring Coupe, in which Fritz Huschke von Hanstein and Walter Bäumer became overall winners of the Mille Miglia in1940, and the BMW 328, also known as the “Bügelfalten-Roadster” and already the fastest in its class in the same race in 1938. Furthermore, the general public will be able to see the first and latest models to date in the BMW Art Cars Collection. Both the BMW 3.0 CSL designed by Alexander Calder in 1975 and the BMW M3 GT2 from 2010, upon which Jeff Koons left his artistic handwriting, were on the starting grid in the 24-hour race at Le Mans. The presentation of the concept car BMW 2002 Homage underscores the ongoing effective impact of the BMW 02 introduced 50 years ago. This is complemented by a reunion with many successful models on two wheels. An early version of the BMW R 32 reminds us of BMW’s debut as a motorcycle manufacturer in the year 1923, and numerous other models describe motorcycle development up to the present day. In addition to the show presenting exclusive and spectacular rarities in Pebble Beach, the program at the Monterey Car Week also comprises a review of outstanding eras and vehicles in motor racing history. And together with BMW of North America, BMW Group Classic is also making a special contribution this year. On the occasion of the company’s anniversary, BMW will be honored as “featured marque” at the Rolex Monterey Motorsports Reunion. More than 60 historic and current racing cars of the brand are being presented at the “BMW Living Legends Garage” and at the Laguna Seca circuit. A field of BMW M1 models from the 1979 and 1980 European Procar Series as well as five works cars of the type BMW 3.0 CSL, which took part in the US IMSA series in 1975 and 1976, will provide for that authentic racetrack feel in the style of yesteryear. Moreover, several versions of the BMW M3 will be present. 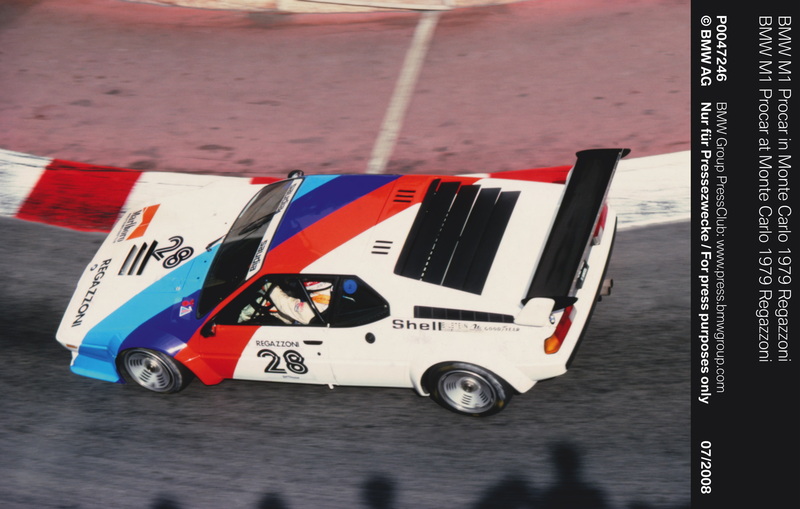 Their series of touring car racing successes began in 1987, remained ongoing over several model generations and are now being continued by the BMW M4. Three legendary vehicles featuring a BMW twelve-cylinder power unit will set both a visual and acoustic highlight. Not only does the BMW V12 LMR, winner of the 12-hour race at Sebring in 1999, meet up with a McLaren F1 GTR used at Le Mans in 1996, but also with the prototype of a BMW X5 with V12 engine. In 2002, Hans-Joachim Stuck drove round the Nürburgring-Nordschleife in a BMW X5 in less than eight minutes, a time previously only considered achievable by high-calibre sports cars.